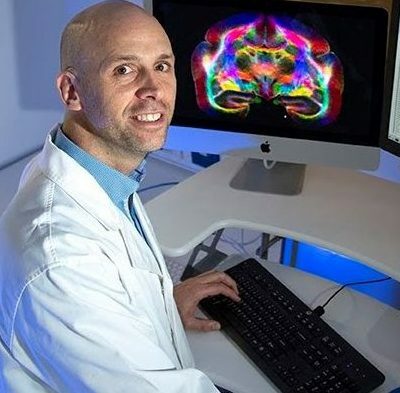 A new, state-of-the-art, purpose-built preclinical imaging facility opened in 2018 for use by researchers at the Alfred precinct. T he facility includes a new 9.4T MRI scanner capable of a range of imaging including brain, abdominal, cardiovascular, muscular and articular. It also houses a NanoPET-CT, capable of high-resolution, high-efficiency PET and X-Ray CT scanning, and FLECT, capable of 3D fluorescence imaging. Future plans include the addition of a magnetic particle imaging (MPI) scanner. The new facility is in addition to existing IVIS Lumina XR Series III equipment, which can be used for multi-modal fluorescent, bioluminescent and X-Ray imaging in vivo. This system was launched at the Alfred Research Alliance in 2012. It provides high-resolution, high-efficiency PET and X-Ray CT scanning for in vivo small animal imaging. Contact: A/Prof Christoph Hagemeyer, Monash University.